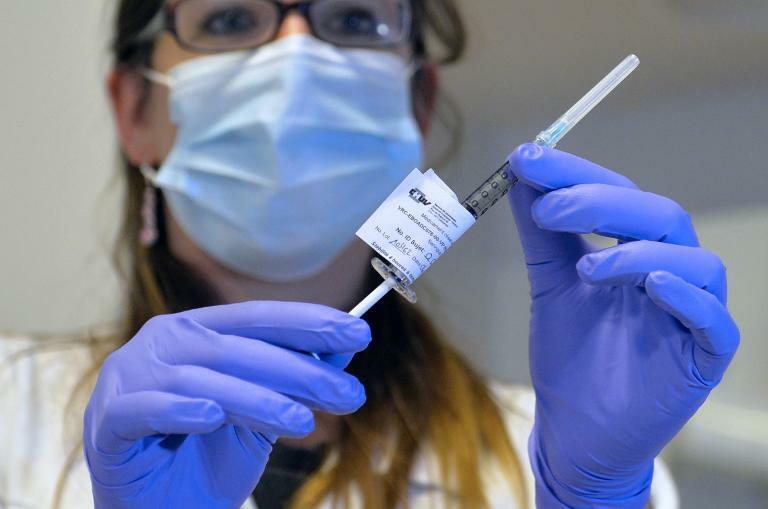 In the first phase of testing, all 20 healthy adults injected with a higher or lower dose of the vaccine developed antibodies needed to fight Ebola, said the National Institutes of Health, which conducted the study. "The unprecedented scale of the current Ebola outbreak in West Africa has intensified efforts to develop safe and effective vaccines," said Anthony Fauci, head of the National Institute of Allergy and Infectious Diseases, which is developing the vaccine alongside GlaxoSmithKline. "Based on these positive results from the first human trial of this candidate vaccine, we are continuing our accelerated plan for larger trials to determine if the vaccine is efficacious in preventing Ebola infection," he added. There is no licensed treatment or vaccine against the Ebola virus, which is transmitted through bodily fluids and has been fatal in an estimated 70 percent of cases in the current outbreak. "We know from previous studies in non-human primates that CD8 T cells played a crucial role in protecting animals" who got the vaccine and then were exposed to Ebola, said researcher Julie Ledgerwood, the trial's principal investigator. The vaccine uses a modified chimpanzee cold virus to deliver segments of genetic material from the Ebola virus. "We congratulate Drs Francis Collins and Tony Fauci and their teams at the National Institutes of Health on the first published results from Phase 1 clinical trials of a promising Ebola vaccine candidate," a White House statement said, adding that President Barack Obama would visit the NIH next week. A second version of the vaccine, aimed at blocking just Zaire Ebola, also began human testing in October, at the University of Maryland.